2014 has marked the eagerly-awaited return of song-writing greats Linda Perhacs, Vashti Bunyan and Mark Fry who have all been synonymous with the golden age of psych-folk music of the early 70’s. This autumn, English singer-songwriters Vashti Bunyan and Mark Fry have released their latest masterworks in the form of ‘Heartleap’ and ‘South Wind, Clear Sky’, respectively, having forged their own unique footprint in the psych folk explorations at the turn of the 70’s. This effect – which is enlightening, powerful and deeply touching – has lasted all these decades later. The title-track of Bunyan’s ‘Just Another Diamond Day’ is one of the most stunningly beautiful folk gems to have graced this earth. Similarly, Fry’s ‘Dreaming With Alice’ contains some of the most other-worldly psych folk creations – ‘Dreaming With Alice’’s dreamy verses, which are dotted across the record’s rich canvas – that belongs to the here and now as much it ever has. Some forty four years on from the release of the richly compelling and timeless psych-folk gem of ‘Parallelograms’, the American songstress, Linda Perhacs has returned with the follow-up, ‘The Soul of All Natural Things’. Sharing the aspects of ‘Parallelograms’’s healing force, cosmic spirit and visionary soundscapes, ‘The Soul of All Natural Things’ feels like the natural progression from this special soul and resolutely unique artist. Raised in beautiful Mill Valley, just north of San Francisco’s Golden Gate Bridge, music and nature would attract Perhacs, even as a child that would become a reoccurring motif throughout her life. At the very young age of six and seven years old, Perhacs started to write fairly complex compositions wherein song-writing surfaced naturally and freely, amazing people that surrounded the young girl’s family and friends. In the mid-60’s, the San Francisco-native attended USC (University of Southern California) on a full-tuition scholarship, focusing on a dental hygiene career. The career path entailed a healing profession, something that served a strong parallel with the songs Perhacs would later begin to write (and form the songs contained on ‘Parallelograms’). A turning point occurred a short time later when Perhacs moved to Topanga Canyon; a rich environment full of artistic people, described by Perhacs as “an upward energy consciousness”. The music of the time included Crosby Stills & Nash, The Eagles, Joni Mitchell and the songwriters of the Laurel Canyon. Inspiration surrounded the young student in the act of travelling up through the Big Sur coastline and up to Alaska and a deep reverent love of nature- the wilderness; pure, pristine and wild. The pivotal role played by the movie composer Leonard Roseman (who was a patient at an upscale Beverly Hills periodontal office) was hugely influential that led to Perhacs following down the music path (Roseman would produce the 1970 album ‘Parallelograms’). 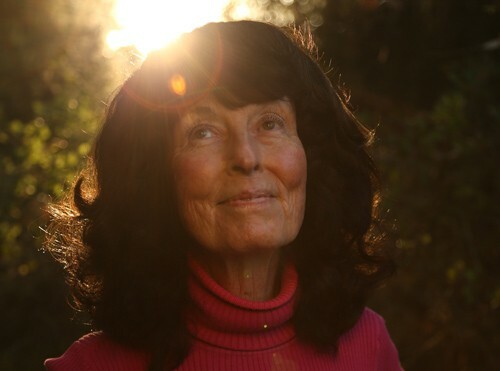 The unique mind of Perhacs was nothing short of staggering, as the gifted artist entered an “incredible sphere of musical imagination”. Central to the music-making process (and which continues on this year’s ‘The Soul of all Natural Things’) is the innate ability to visualize sound and colour wherein songs would be envisioned in picture form: “I have seen colours, sound and form inwardly all my life” (Perhacs would write on the liner notes of ‘Parallelograms’). On ‘The Soul of all Natural Things’, Perhacs collaborated closely with some of the leading lights of the current generation of luminaries; Julia Holter (a next-door neighbour and close friend), Ramona Gonzales (aka Nite Jewel) and the album’s co-producers (and co-songwriters on several songs) Fernando Perdomo and Chris Price. A special and illuminating batch of songs would be constructed that soon would see the light of day. The angelic lament of ‘Freely’ is built on a gentle ripple of acoustic guitar notes and piano accompaniment that shares gorgeous shades of Leonard Cohen. The lyrics are sheer poetry: “High as a bird that flies/Warm as a wind on the rise” is sung by Perhacs on a later verse. ‘Intensity’ feels akin to ‘Parallelograms’ re-worked for the 21st Century such is its achingly beautiful three-dimensional sphere of sounds. A soulful symphony is forged like stars in the night-sky with mesmerising harmonies blended effortlessly together. The sound waves and vibrational energies ascend into the forefront of one’s heart and mind, where each sumptuous tone and texture offers a personal geography of the earth. The song’s intense groove is rooted in “the rhythm of an energy sea”. Holter’s voice coalesces masterfully with Perhacs on the uplifting chorus refrain, feeling a cross between Spector’s wall of sound and ‘Rumours’-era Fleetwood Mac. The universe and all its complex, inter-weaving systems serves the vital pulse to ‘Intensity’’s immaculate song-cycle. A similarly other-worldly feel ascends on ‘Prisms of Glass’, a duet between Holter and Perhacs, sung beneath an ambient backdrop of celestial harmonies and shimmering keys. The heartfelt lament is closer to a prayer as a meditative quality exudes from the prisms of musical patterns. Music rarely feels so divine. A peace and tranquillity breathes like “the wind that play” as a vivid sense of joy and awakening floods through each and every aching heart pore. The resultant effect of ‘The Soul of all Natural Things’ is the healing power that spirals from each of these stunningly beautiful and highly-innovative sonic creations. To enter the incredible sphere of musical imagination sculpted by Perhacs is a feeling of pure joy and wonder. Having re-visited the sacred opus of ‘Parallelograms’ endless times (and attaining infinite solace and healing from the album’s spell-binding creations), I decided to write a fan-mail to its peerless creator (at the tail-end of 2012). Little did I know what beautiful set of events would soon transpire. A short time later, a lovely and detailed message would come back, directly from the gracious artist. Included was a news update that a new record was in the works. After a few more correspondences, Linda very kindly sent on a few working demos of these new songs, namely ‘Freely’, ‘Intensity’ and ‘The Soul of All Natural Things’. In much the same way as the bewitching effect of ‘Parallelograms’, the new songs immediately cast an illuminating spell to truly sweep you off your feet, and heighten, empower, and strengthen your very being and the world that surrounds you. A few months later, I would finally get to talk with Linda from her California home, on a Saturday afternoon in August 2013. 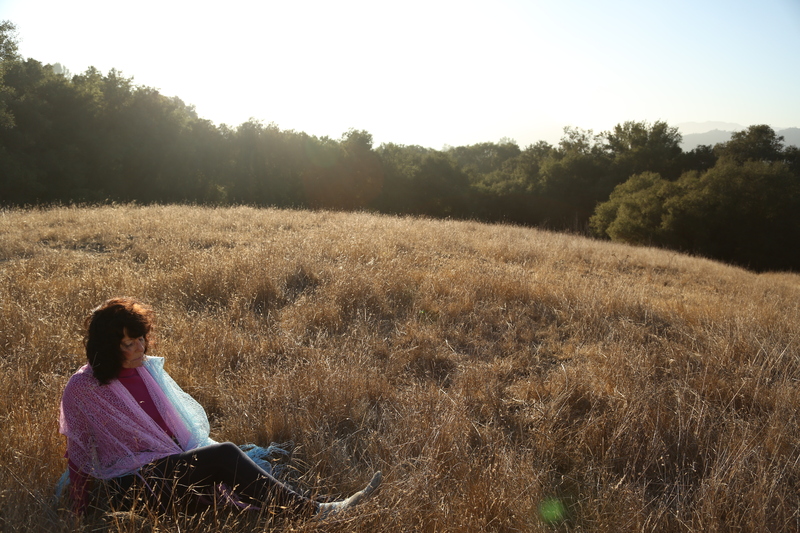 During this time, Linda had begun touring the West coast with her band featuring Julia Holter, Ramona Gonzales, Fernando Perdomo and Chris Price in support of the new album, ‘The Soul of all Natural Things’. Just like her music, the voice at the end of the line offered an endless array of inspiration and enlightenment. 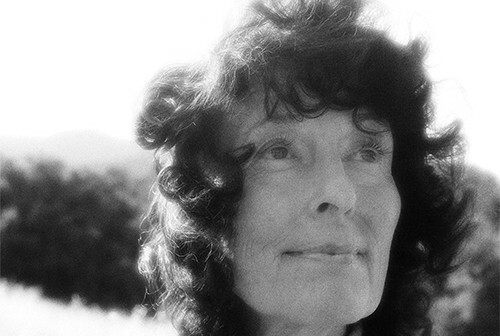 Interview with Linda Perhacs (August 2013). 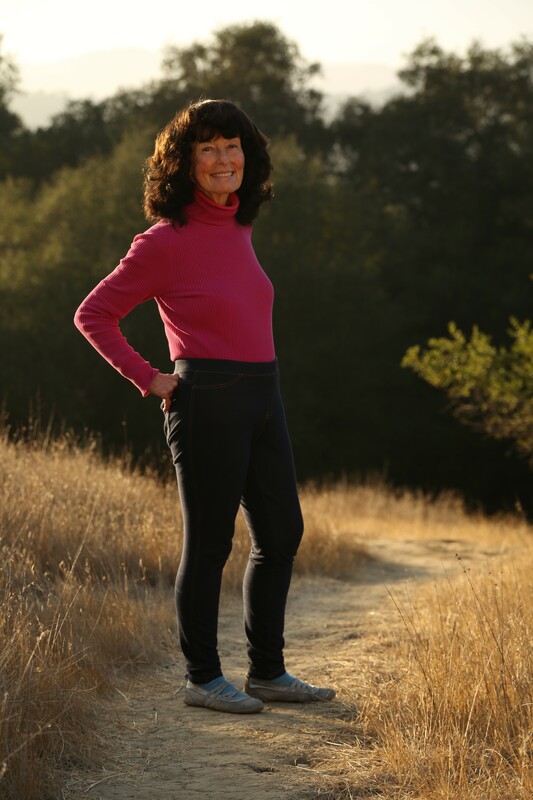 Linda Perhacs: We just did a show in Pasadena – I’m sure you saw the pretty pictures on the website – it’s the one in the little amphitheatre with pretty lights. Well, Julia [Holter] was onstage that night and then the next day she left for Europe. She was helping us and Ramona Gonzales [Nite Jewel] was on keyboard that night and then Chris [Price] and Fernando [Perdomo] were both onstage; they handle all kinds of keyboards and guitars. And then the two back-up girls – there’s a beautiful history here – there was a black woman there and her name is Durga McBroom. But she was the backing singer with Pink Floyd when they were doing major, major work with a tour for two years where they toured constantly and they had this huge display of light show and visuals – it was exceptional for its era, it was one of the biggest ever – and she was one of the three black ladies onstage doing all the back-up singing. So, Durga was with us for the last two shows and it was so much fun. We did one in Big Sur – the last day in June – and then we did this one in Pasadena which would have been the Fourth of July weekend. And they were both just wonderful experiences, I can’t tell you; it was just great. It must be lovely to be playing both your songs off ‘Parallelograms’ and these new songs at these shows. It must be a special feeling. LP: It is, it really is. As long as I am talking the creative end of it, I am in my element and totally in love and we’re having just a ball. But the contractual stuff; thank heavens for my two co-producers Chris and Fernando because I don’t think I could handle it. It’s very very digital type stuff, it has understandings that you would have to have from more their era – Chris is about 28 and Fernando is about 33 – they’re just prime for understanding all that. It goes over my head to be honest [laughs]. The music should be the priority, I mean it must be difficult when all the other things become the focal point. LP: Yeah, well I’m so glad that I am working with people in that age bracket to be my co-producers because in this era you have to be very astute to understand all that. Between the three of us, it’s been a tight team and a wonderful, wonderful experience and all the other people that contribute musically have been – like sentiment I can’t tell you; it’s not like studio work where you just call someone in who is an expert in something. This has been like God almost sending me these people, it’s just so, so special. Tell me about you, Mark? I never quite understood, do you have other things that you do, like another job on top of that? Oh I do, Linda. Well my passion has always been with music so I love this hobby of interviewing musicians like yourself and you know, just to write about music. But then I actually have a degree in science. Well, it’s not quite your path but biotechnology. LP: Well, fantastic. No wonder you like all those layered sounds that are closer to the universe that draw you into thinking about it. It’s those of us who have that background where we come from nature and from a study of the universe. Close to music, it’s a wonderful combo because it’s all united, you know. In relation to your music Linda, nature and the universe is something so integral to your music. LP: Yes, yes. I love the co-creation of it. You know, we make medicines and we try heal people and try to help; I hate to say this but in our country, it’s becoming very mechanical and it’s a business disguised as a healing profession. We’ve kind of become disassociated with healing for the sake of helping people –well I would say very disassociated – and money is just way too out there in the prime importance is the flow of the money through this whole healing situation and healing is getting lost in the shuffle. So, when I look at nature and God and the universe, I see a creation like the DNA molecules, it has a little repair crew. I mean what kind of mind would create something so beautiful? So I’m in awe of him because it’s taking care of the system while it uses the system. In man’s way, we destroy the system while we use the system. We have so much to learn. So much. I agree with you absolutely. You were very kind to send me two songs, two demos, and the song ‘Intensity’ encompasses so much of this feeling as well. LP: Well it takes a special person to have the patience to even listen through that piece. I want to send you the title-track of the album, which is called ‘The Soul of all Natural Things’. I was thinking of making ‘Intensity’ the name of the album and also the title-track but it’s going over too many people’s heads, because they’re in a hurry and it’s a very long piece. The song ‘The Soul of all Natural Things’, when we played that for anyone and watch the reaction, it’s just 100% wow and it’s quiet and they just stay with it. It’s also a good title for an album that’s trying to still remember the people who love the 70’s album [‘Parallelograms’] as well as people who are merging into this era. The title itself – when I read it first – I feel those words really sum up your whole ethos and musical philosophy. LP: Yes, we’re kind of growing into that. It’s pretty much decided that we’ll put it first and that will be the title [laughs]. And at the shows, I take the time to talk to the people and tell them the stories that go with some of the songs that will draw them even more towards thinking more about these balances. And the crowds, Mark are predominately aged 19 through 37 and any age after that. But so many of them are what I would call young and the best the world has to offer to face the future, you know that’s a very important age bracket. And the questions that they ask are marvellous but I know that many of those questions are because they want to explore invisible energies; they realize taking artificial substances has a risk but they also realize they need to understand it. And I’m really good at explaining to them how to deal with this choice between taking too much that’s not natural and being able to do this in a natural way. I come from a family line – I don’t know if I told you this Mark – where many of the people would be able to see ahead and they could tell years ahead, how many children they would have and little things like that. But my father was astounding, he was in World War II and he saved many, many lives because of his keen, almost – it was almost like an Indian where they just knew there was danger off to the left, whether they could see it, smell it, taste it, whatever; they perceived it vibrationally. And my father was drafted I guess for World War II and he ended up being an active duty in the middle of Italy and then into the area where Hitler was and so it was very, very dangerous. He was asked to train the troops in survival I harsh cold, like mountain-climbing, back-packing; all the harsh conditions that would be the mountain. Then the rest of his career they sent him all over the world into Japan, Alaska, Colorado; any place that had high, cold, snowy, icy conditions to train troops in survival. So he took his intuitive which was a gift that we seem to have in that blood line, and he would say to the troops “don’t go over there to the left, there are mines there; you can’t see them but they’re there” and when people disobeyed them they usually got blown up. So he developed a reputation for, you know pay attention to what this man says and he was an officer so that helped. Many times they would use him for that purpose; they would put him on a jeep – on the front of the jeep – and ask him as they drove through places like where Italy might be; where are the Turkish people, whatever the different groups are. He would tell them where they were; which part of the mountains they were hiding in or which part of the train because he could sense it, he knew where they were. And then the one astounding one is that they put him on a battle boat at about three in the morning to land in Alaskan waters where they were trying to get rid of the Japanese because the war wasn’t over yet and the Japanese were still trying to attack through the Alaskan islands. So they put him on the bowel of the boat and they had to turn the lights off on the boat and the engine and drift ashore because they couldn’t afford to make any noise. And they pulled him up on the bowel and said “can you give us any idea the amount of danger? Where are we at out here?” and he said “it’s extreme danger at the moment; they are on the island”, he said not only do I know they’re there but I can smell the cigarette, I can smell the fire, I can smell the food; it’s very, very current that they are here. And actually by the time they walked on ground, the Japanese were so scared that they ran away. He would give a twelve hour prediction of what they would find in a situation; a twenty four hour and a forty eight hour; he kind of made a time-frame for them so they would know how fresh the signals were; those intuitive signals as well as smells, anything he could pick up. So I came through the doorway of nature. My young husband when I was married introduced me to nature in a very beautiful way, we’d only go to wild and beautiful country. I met him when I was at UFC. But anyway, he got me out into raw wilderness, it was the first time ever I was in country that wild and he taught me so much and I’m so grateful for what he taught me. But the whole point I’m making is even in my love for God, I had to come through nature first; nature came first, nature and sciences and the understanding that this kind of magnificence has to be the result of a very, very clear, high, clean, loving being; it’s just the natural progression. And the more you study the more involved you are [laughs]. I am sure you can relate to that Mark. Definitely, Linda. They were some beautiful stories about your father. LP: Yeah, it’s all true. It’s documented. My family on that side have saved the documentation of these things. It’s all true, that’s what he did. But it runs in that family line, they’ve been listening inwardly for two hundred years that I know of in history and most of them are from Ireland, Scotland and England, almost the whole blood line through my father’s line. My mother’s people would have been England more; proper and a little colder but not as loving of God so it’s my Dad’s people I relate to the most and he’s no longer alive but neither is my mother. But all my blood line comes from the same part of the world where you’re in. Well I feel it you know, as I hear a Celtic piece of music or those wonderful modal tones, I mean I just stand still, it just gets to me; I just love those sounds [laughs]. I love how you’ve said before – exactly what you said so nicely there about your blood line – how you’ve always seen colours and sound and form, you know, inwardly all your life. It must be an amazing process that goes on to make your music. LP: Yes. The title-theme, ‘The Soul of all Natural Things’, that was probably one of the closest where I had to work. I think inwardly; I pray inwardly; I listen inwardly and this particular piece I can tell you there was a light in the room over my head; the lighted beam over my head, at like twelve at midnight when we had time to create this piece and I did not do it all by myself. Sometimes if you just ask for it, He will come to anybody if they would just take the time. You know what it is, you know we’ve got these cell phones and we call each other, which is like sending signals out to the world, and we’re on these things constantly and all our digital stuff constantly. When you really need help, like if it’s a 911 situation and buildings are blowing up, you’ve got to send the signal straight up – I’m sure you know that – like, help and you have to have the signal reach its mark in seconds if not sooner and you need to know how to hear the answer. It’s our mechanism; it’s available to all of us, it’s just a matter that we know how to use the cell phones, we need to take a little time to figure out how to go straight up and ask God for help too. So, do I do this daily? Yes. Did my father? Yes. I think we need to work in the world we’re in. Our children who have now become teenagers; making marvellous discoveries even in medicine at age fifteen. I can only remember one of them but all of these people were fourteen or fifteen and one of them was from a very poor part of our country – I think he was in Harlem and he was in the advanced programming and he was put into a more advanced school because he did seem to be pretty exceptional- there was three very recent occurrences where they knocked the medical world on their feet by learning how to do a cancer screening from blood or something like that. Apparently it was amazing enough they asked the young man, “how did you come up with this idea?” and his answer was “well how come you didn’t?’” [laughs] So yes, our children are going to be such a help because they understand that world but we cannot forget the invisible part too which is also an energy-based wavelength phenomenon. And when I go to these concerts, after we do our singing and the young people come up and they just want to talk about that and they want to understand these energies. They have some very good questions. Well I try to work with them on these levels because of feeling it is so important they even ask these questions and study them. And you know, when you think about what my father could pick up and what I can pick up and all the family line and many, many, many other people but they just don’t talk about it – they’re working on those levels – it is a wavelength, someday we’ll be able to put it on a graph like a heartbeat and we’ll understand them better but right now, it’s still sort of a mystery but it is a natural phenomenon. It’s not an unnatural thing that I know. I can imagine it’s like how the healing world and the musical world are like one entity. LP: Absolutely and I can do more healing through the music now than I can in the fast clinical world. I think the song ‘Parallelograms’ itself is a wonderful example of healing, it’s like this three-dimensional structure. LP: Yes. Well when we do it live we sort of kick through and make it a little bit louder in the middle section because it’s fun for the audience. But I know what you mean Mark and again you can hear the Celtic sounds in there too. We were also asked to go to Big Sur. I’ve been there many times because of course it’s in California where I live. But they still have uncut timber there on the private properties and we were doing this special festival that they do once a year, way up high where the eagles might be looking straight down at the magnificent beauty of the cliff sides that go into the Pacific ocean. So we had an unobstructed view of nature from a very high point, right directly above the ocean and they put us into a little cabin like a Henry David Thereau type cabin, all very rustic and charming and then also a little house that was more modern. But the tickets I could read on their website were $120 a piece and they said it was limited to only five hundred people but that can’t be true it must have been five hundred cars because when we got there, there was no less than fifteen hundred people – maybe more there were a lot of people there [laughs] – and I think it was two to three days and we were the headliner for the Saturday night. I can’t tell you how breath-taking and wonderful the experience was; the crowd was a nature crowd and the vibes were just fabulous. It was very special and I will have to go back again [laughs]. It was really a lot of fun. One of my favourite stories about ‘Parallelograms’, I remember reading about Leonard Roseman and how he was just a patient where you worked. LP: To this day I’ve never knocked on a door, Mark. The powers to be have sent people to me. And sometimes I don’t recognise it right away, I have to be reminded you know. But Leonard and Kay were my favourite patients at this large, prestigious periodontal office in Beverly Hills. It was right almost on Rodeo Drive, it couldn’t have been more central to the entertainment world and just huge flows of money in the world passed through that area, especially in that era. And I have just come out of UFC and I’ve been there for free on this scholarship – a full tuition scholarship – for four years so I was sophisticated enough to figure all these things out but again I must have been led. The professor who had run that office in Beverly Hills was a professor in UFC and he asked for one hygienist student with the helping of a special project and he said “what I want is patience; I don’t want speed, I want patience” so they said “well Linda is the one to choose for that”. So they put us together and we did this research project together and then he said “when you have your licenses, as soon as you do, don’t even interview, come to my office and work for me” and that’s how I got into that whole arena of people; I never even did an interview. I was with him for fifteen years so I got some of the best training you could ever have and his whole clientele were world-class famous people and I had to learn to be in harmony with their level of thinking which for a person at my age at the time was a challenge. So my original invitation from them to join them was to help them capture that flavour for their assignments. But once Leonard began to see the composition ‘Parallelograms’ that I wanted to somehow, he said “that’s it, we’ve got to do an album”, he said “this has to be done with you and it has to be your album”. So he walked over to Universal Studios where he knew everybody and said “we need a budget” and he had so much power and respect, they just said, “well do four of them- maybe four to six – we’ll give a budget for that, we’ll review it and see if we’ll give you the full budget for the album”. So as soon as they heard our first four, they said it’s a done-deal. But we didn’t do ‘Parallelograms’ initially for him because he said “that’s too small for them, they won’t understand it” so we did more normal songs. When they would come into the room, the black suited business men, he said “you can’t do this piece of music around them Linda as they won’t understand”. And yet that is the piece of music that has carried the album for forty years, the ones the executives didn’t understand. And the world for the past forty years since the album has been out, you know there is such a deep love for this album. LP: This has come as a surprise to me, Mark. I’m still sort of wondering what’s going on. I remember too how you said that the song ‘Parallelograms’ just came to you one night. LP: Oh I saw that one Mark. I saw it. I came home from Leonard and Kay’s house at eleven in the evening and then driving on a major freeway here in Los Angeles going back home to Topanga Canyon. And I looked up in the sky and I could see exactly what I tried to draw, I think you’ve seen the drawing of it. It looked like a light show; beautiful colours but yet it was moving like music would move, it was almost in a scroll like if you write music but at the same time it was creating three dimensional shapes of geometric shapes. There was just something about it I couldn’t hear any sound but I knew that what I was saying was the light pattern of music. So we have screensavers now that help this generation understand that phenomenon but this was a girl who only had coffee and some Italian spaghetti that day: Leonard and Kay had filled me with eight hours of all kinds of music; they played everything in their repertoire on big speakers in a very magnificent home as well, I was just infused with music as I was driving home in the silence and I saw this amazing phenomenon in the sky. I scribbled it down on tiny note paper in the dark and pulled off the freeway, and wrote it the best I could and I presented the idea to Leonard a week or so later. I said “I’ve already written a celtic tune, I didn’t know what to do with it; now I know what to do; I’m going to put the celtic sounds on either side to frame it like you frame a picture and in the middle I need to somehow convey these geometric shapes and the movement of the music the way I saw it”. And I said each colour represents a tone. Each colour, so if it was blue or green it would be a lower note. If it was high bright brassy yellow, it is a higher pitched frequency, you know like a high flute. And he loved the idea, he said “we’ve got to do this”. And that’s how it all happened. Leonard was working in electronic sounds in his day at the time he is talking to me about this piece. He was using the only thing available to modulate the human voice and it was called a ring modulator. He was already attaching that to the sounds from a contralto; a beautiful woman contralto named Sally Cherry and he was using it in very avant garde classical pieces that were not meant for film or TV – it was his great passion to do these pieces of music – so he let me hear those sounds that day I saw this phenomenon in the sky. And I had already said to him “Leonard, we’ve got to use these sounds; I love it, what are you doing to that lady’s voice? It’s wild!” So Leonard was already using these sounds and then he would play some of the unusual tones and things in space movies when they assigned him to do a space movie. The point I’m trying to make is I made an era now in trying to make my second album –well now I’ve done it – but everybody wanted it to stay totally organic. In the future I’m going to start to do, maybe song by song – maybe even put out a single – I’m going to return to a great passion that I had and I was sharing it with Leonard. I like some of those electronic sounds. The universe has many, many interesting sounds – the sound of a whale; the sound of a planet moving, its torque and movement through the universe – there are sounds everywhere. I like those sounds because they are natural, we’re just a little primitive in the creation of them right now. In nature, those sounds exist everywhere, so I’m not afraid of them. I think there is a strong division between those who are doing techno sounds and those who are not. I believe it’s because the techno people have gone too corny in many ways; they haven’t used these sounds with great compositional skill, maybe. But I’m going to start experimenting with some of those pulsating sounds because I know they are in nature and I happen to be intrigued by them [laughs]. So, I’m not against those sounds, it’s how you use them.